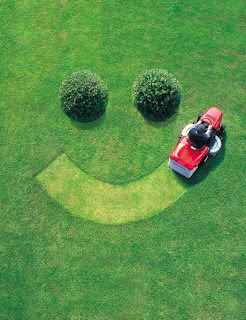 The British Gardener - The Tropical years: Grass does make you high! Once again, its my time to present another seminar at work and as always I'm working until the last minute to get ready for it. This time my talk's about using native plants in the garden, a talk I've done a few times already. I've always approached these seminars as a story telling presentation rather than a class, as more people tend to remember the key points if you wrap them up in an interesting journey. 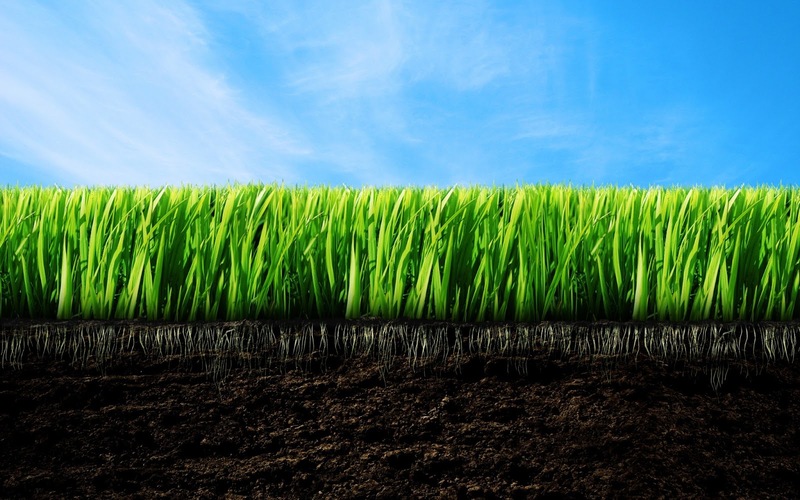 This time I've stumbled upon some fascinating studies that gave me a great story to tell regarding America's obsession with grass (meaning the lawn)! My first discovery helps back up the many reasons why we should including native plants in our gardens. 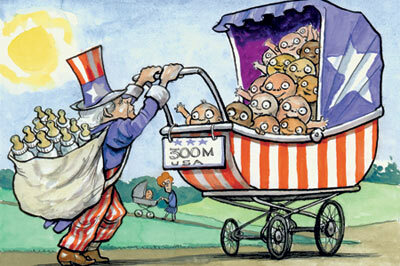 In a census done on 1st January 2012 it put the population of the United States of America at 312,780,968! A pretty big number, but now compare that with how many square mile are in the United States, 3,794,083. Divide these two numbers together and that leaves you with 82.5 people per square mile. With such a high demand on our shrinking land, our gardens may end up being a safe haven to protect our native plants protection. If the pressure of land wasn't already so great, the next piece of brow raising information comes from the Golf Course Superintendents of America group. They estimated that golf courses in the US now take up 3,507 square miles. If you take the equation from above, it only displaces 289,327.5 people from their allocated square mile so a few can hit a small white ball into an even smaller hole in the ground. By the way, the 3,507 square miles of golf courses is equivalent in size to two Rhode Islands and the state of Delaware. Now add in all the water, fertilizer and pesticides they consume to keep the grass green its no wonder there's growing concern over the environmental impact they cause. But lets not forget the all the other 'greens'. 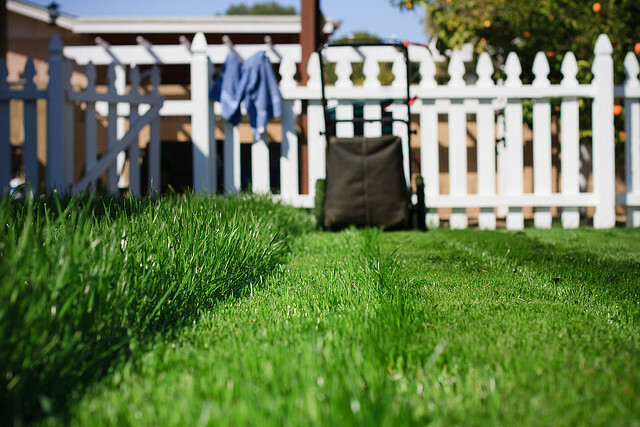 Its estimated that 80% of homes across the country have lawns surrounding it. 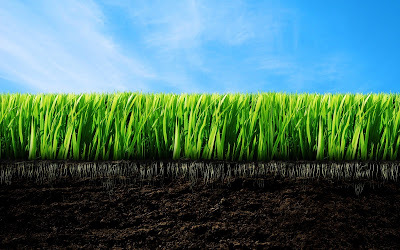 Our obsession with grass has fueled a $40 billion dollar a year business that requires 90 million pounds of fertilizer and 78 million pounds of pesticides just to keep our lawns green and bug free. Some clever person even figured out that we spend 3 billion hours a year pushing or riding a gas powered mower around to keep our grass at the perfect shag pile carpet height. Just one gas powered mower can give off the equivalent of 11 cars worth of emissions! However, what does any of this have to do with the title of the post? Well, Australian Scientist have discovered the the smell of fresh cut grass reduces stress and provides a positive reaction in people. To skim over all the details of the study, a senior lecturer from University of Queensland's bio-medical school discovered that the hippo-campus (the part of our brain that in involved in emotions, learning and memory), remain healthier if exposed to the aroma of fresh cut grass, thus improving long-term memory. So maybe, our desire to play golf or just to cut the grass every weekend is part of our unconscious desire to giving our brain 'a fix'! But wait, there's more; a German study looking to understand this fragrance discovered that it is actually a chemical compound released from distressed plants and to alert others of their attack. Yep, plants do actually communicate with each other! Those clever scientists discovered this while studying wild tobacco, which they noticed accelerated amounts volatile organic compounds released when a plant was under attack from caterpillars. The compound actually worked like a pheromone, which attracted predatory 'Big Eyed Bugs' who regularly feed on the caterpillars. So in reality, that smell of cut grass that we all love is literally a gas released before it hits the fan! So, in summing up all of these findings we can draw the conclusion that humans get off on the smell of vegetative trauma. So great is our need to get a high, we've sacrificed our land to grow even more of the sweet smelling stuff to aid our addiction. Fortunately, because of our exposure to this secondhand gas, our long term memory has improved so much that we can reminisce about all the native plants that used to grow around us. Now that's some good S#*t! Nice post - there seems to be a reason we enjoy grass so much, and are willing to spend so much time and $ on it. It's a topic many people are talk about these days. Thanks for reading. 1. "Humans get off on the smell of vegetative trauma" - too funny! 2. I can be forgetful and will torture the people around me by telling them the same thing twice because I've forgotten I already said it the first time. Argh! I need to start a lawn mowing company asap so I can spend all day in Grass Inhalation Therapy. My friends would be so relieved! 3. There are actually fragrances and candles with a 'fresh cut grass' smell. Much more appealing than the candle that smells like sweat and sawdust. Candles that smell of plant destruction with a hint of slash and burn, what a brilliant idea! I loved this post, very interesting and well written! When I moved to NoVA 13 years ago I was stunned at the obsession suburban people had with keeping their lawn green and completely weed free. I had never heard of lawn service, aside from knowing that teen boys could be hired out to mow for people who were too old to do it themselves. I've caved to HOA and peer pressure and now I too have Weed Man and a lawn service to mow and run sprinklers in the summer to keep the grass going. We lived in Kansas a few years ago and I had a neighbor there who was irate at the thought of a neighborhood community garden plot (my idea) yet he was obsessed with keeping a meticulously trimmed, green and weed free lawn. I found this all ironic considering our neighborhood was completely surrounded by huge corn fields - miles of corn and yet this guy's .25 acre was forced into precise, perfect sod in the brutal Kansas heat. I do not want to know what he spent on water in August. :-/ I do agree that cut grass smells great, though. The numbers are so staggering, sometimes you just want to put your head in the sand, but it is important for those of us who care to continue to educate and maybe we can influence the small sphere around each of us. I too like the 'smell of vegetative trauma', and to add a quote from Apocalypse Now, "it smells like...victory." I tried eating grass. It didn't make me high. It was a dare.